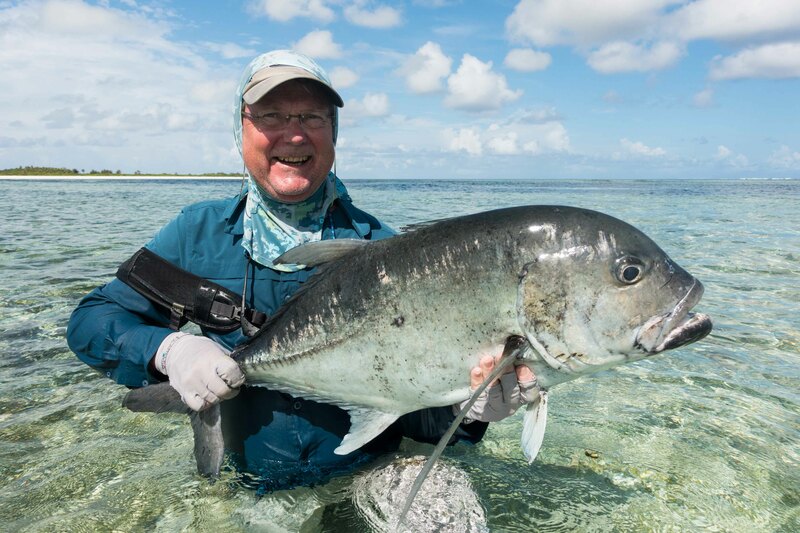 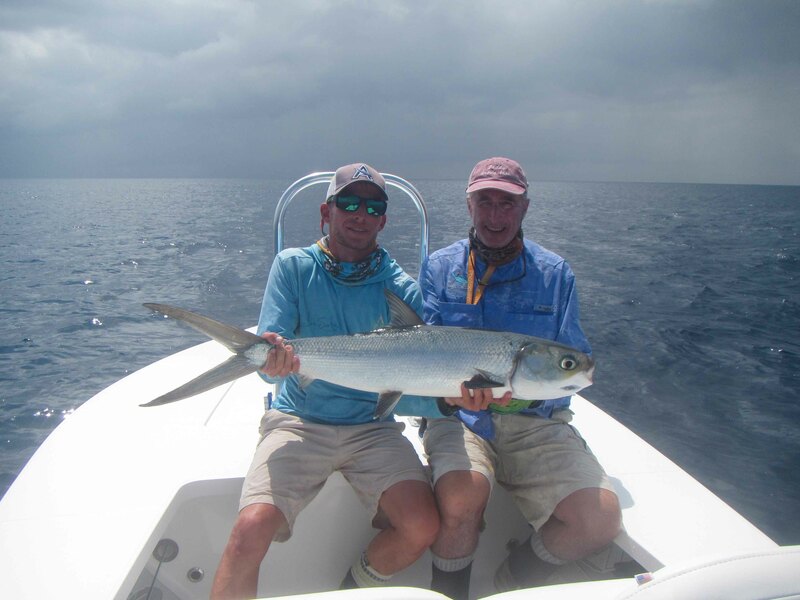 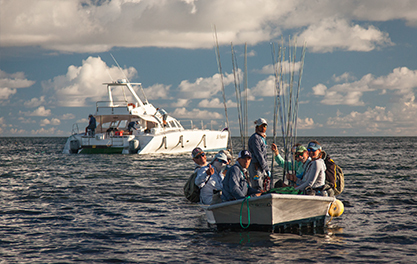 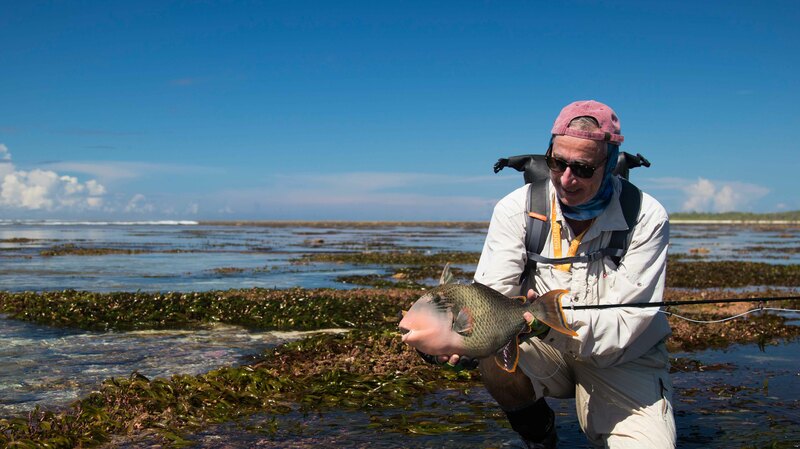 Alphonse Island Fly Fishing 2 to 9 December – 420 Bonefish. 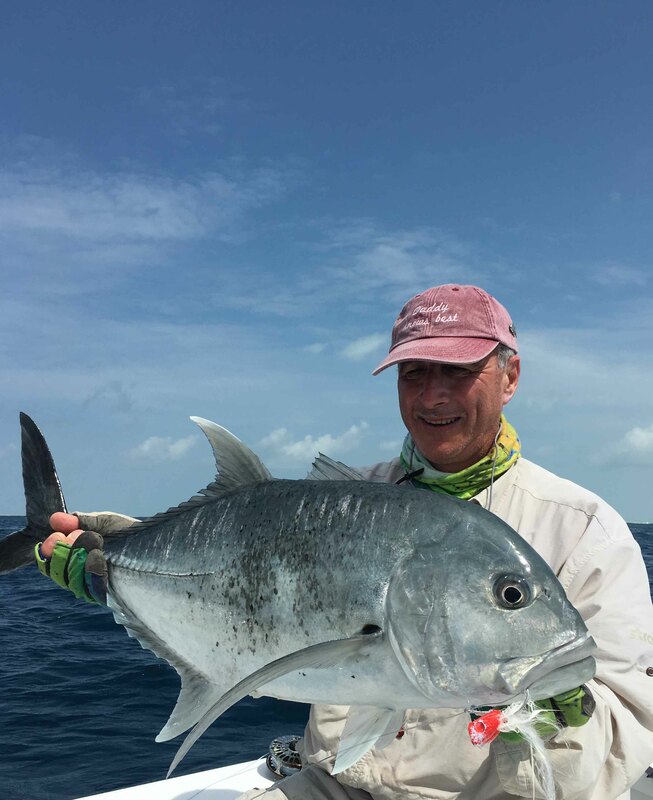 Sunny skies welcomed a variety of nationalities to St. Francois this week who quickly focused on the variety of species on offer. 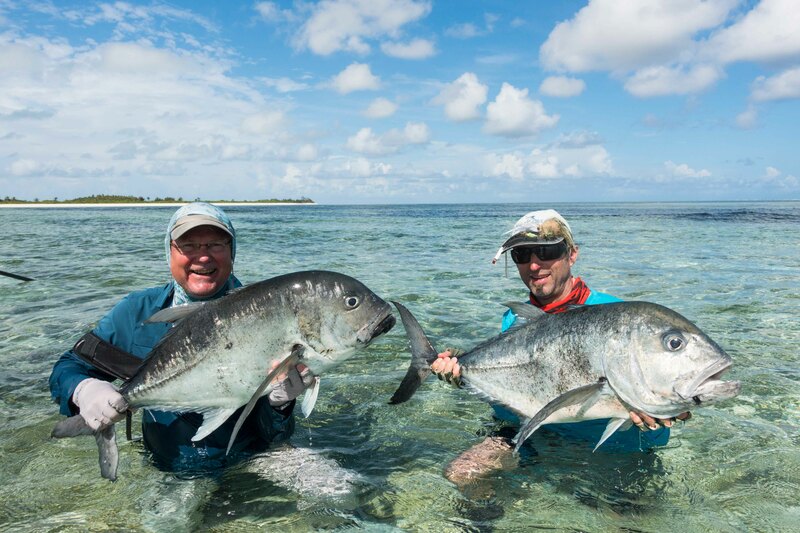 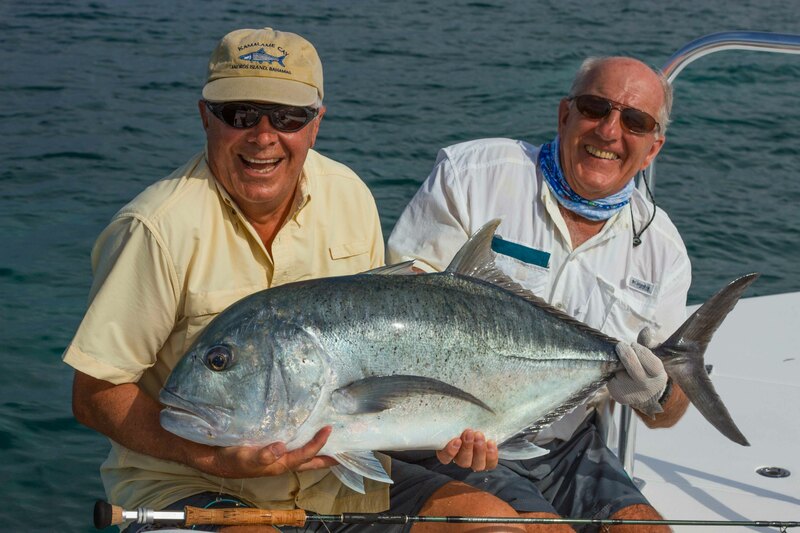 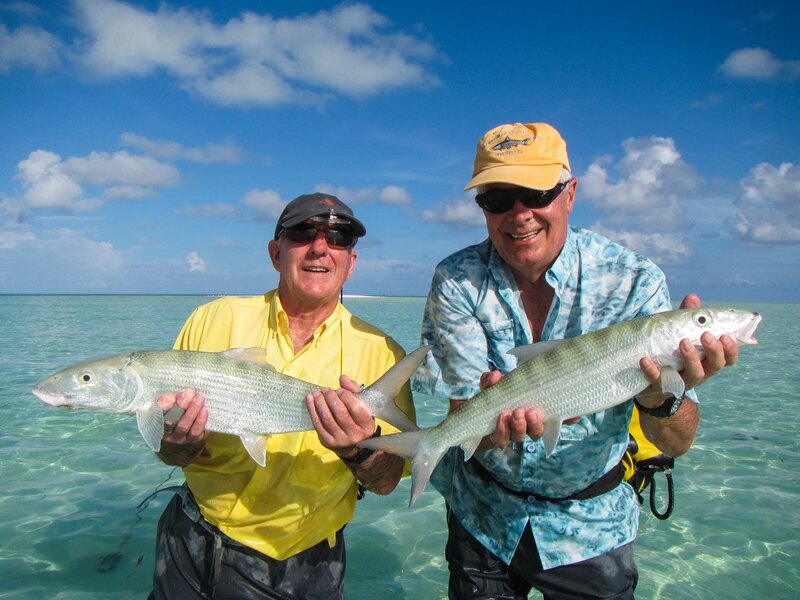 Hans Joachim and Horst Siegert, the dynamic brothers from Germany were the bonefish champions of the week by managing to land 144 during their six days on the flats. 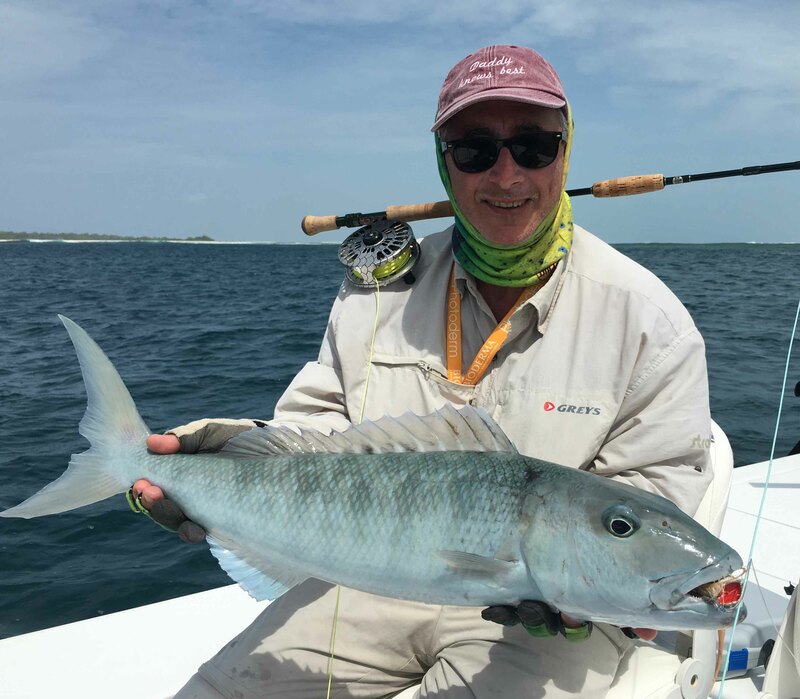 The GTs were around in good numbers with seven landed between the team and numerous other shots, some at pairs. 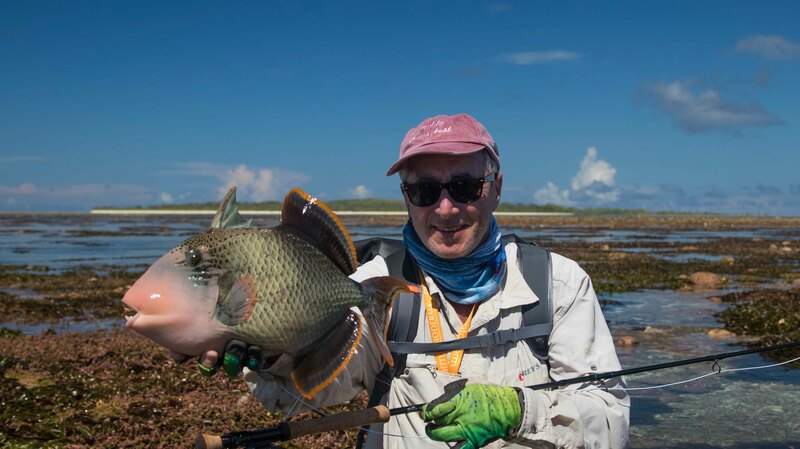 Jan Borghais was the first to hook up on a nice GT, shortly after Jeremy Stuart managed to cast and hook the following GT completing a fantastic GT double-up. 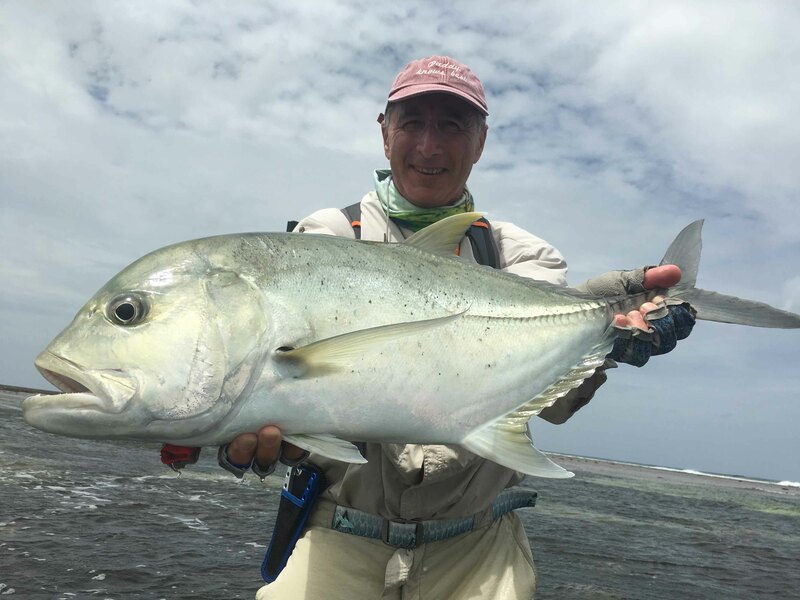 Graham Birkett caught the biggest of the week with a 94 cm GT that engulfed a popper. 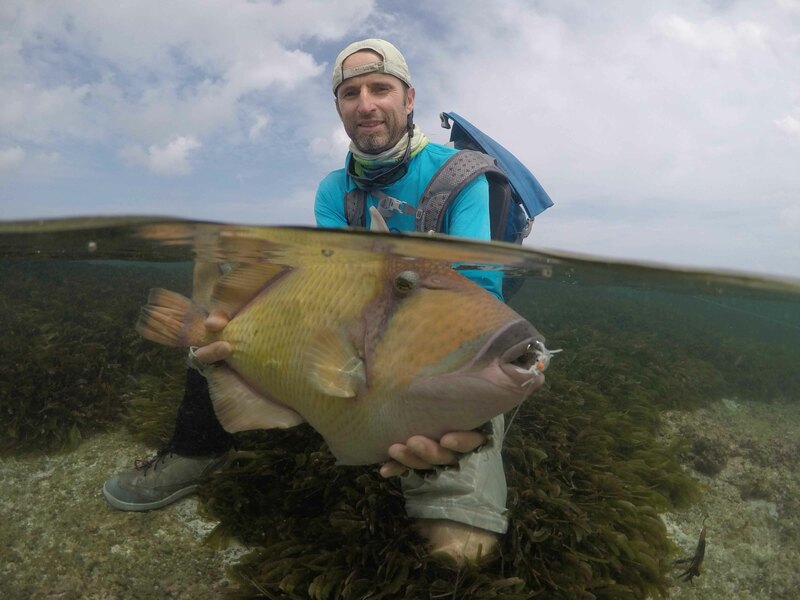 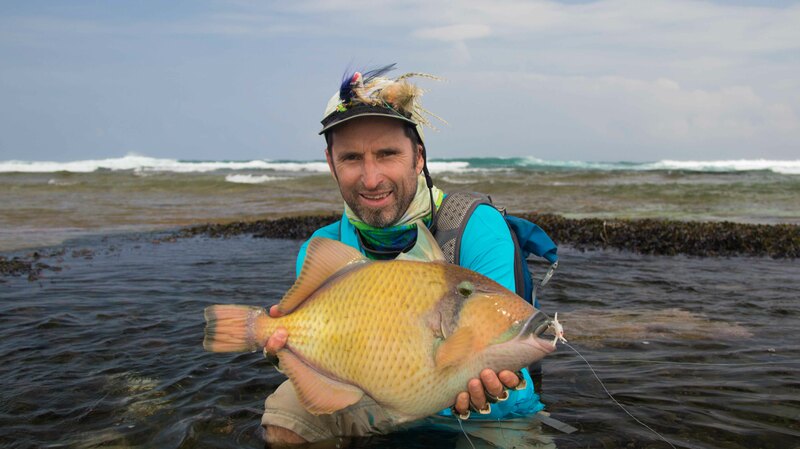 The hero of the week was without doubt Dominique Roga, who finished with a tally of three GTs, a pile of bonefish, a “flats slam” and a milkfish, which he managed to land after an hour and forty-five minutes fight.